In a country like Singapore with two weather seasons, spring cleaning is a term used when it’s time to go through the stuff in the closets, arrange and spend hours cleaning some portions of the house. This times hits Singapore residences like an instinctive compulsion, and the more we get things done the more relieved we feel. Of course, homes are one of our greatest asset and a comfortable place to live. They serve as a retreat to the hustle and bustle of Singapore and for this reason, should be neat, tidy and refreshed. No one loves to come home from work only to meet a messy house. 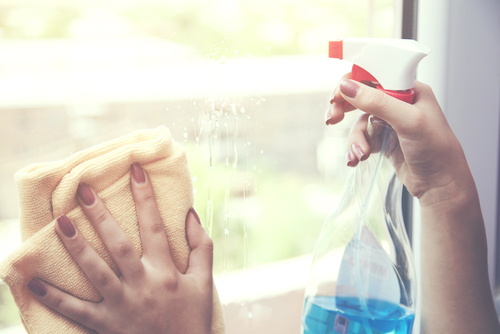 While all attention turns to your daily and weekly chores, there should come a time to switch your attention to spring cleaning. 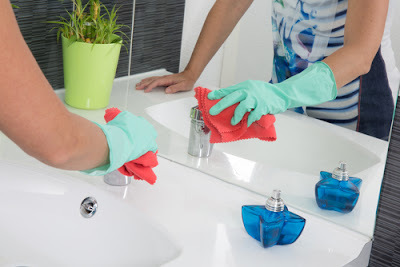 Doing this won’t only ensure that every nook or cranny of your home has been thoroughly cleaned, but also make us concentrate on maintenance and prevention cleaning afterward. One of the most prevalent problems facing spring cleaning here in Singapore is Clutter. 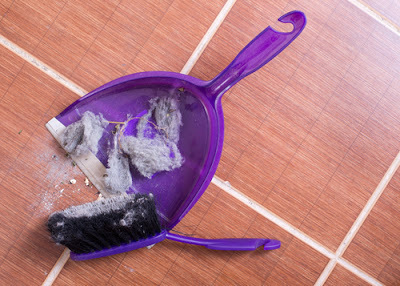 Before you get down to the business of cleaning house, you first need to remove every junk that clutters your home. Select and toss old newspapers and magazines. Tidy away your kid’s toy and put back other items in the right area. The key to a successful cleaning is to explore all doors, surface areas, and walkways. 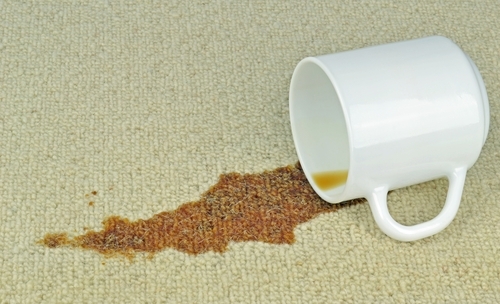 Your house should be tidy enough to scrape through dirt hiding in every nooks and cranny. Spring cleaning inspires images of those sunny days when you have to throw the windows wide open while watching the sunlight flood every room. It leads to thoughts of freshness and summer-scented air. 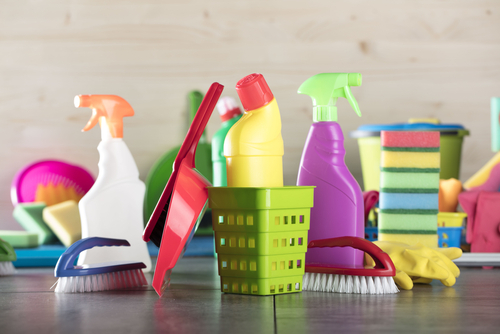 While it may seem impossible to reach out to every inch of your home, spring cleaning should cover several dusting, tidying, and scrubbing. Study your rooms and come with lists of what needs to be done. Your list will give you the idea of what to do and necessary equipment for a successful completion. You can now split your chores into different manageable sections. This will help you divide your chores into a manageable option. For example, if your plan is to wash all your curtains, make sure you do them at the same time. A clutter of curtain will help you get to curtain rails, windows and windowsills. You’ll also have the chance to dust and clean high up into the corners of the ceilings. 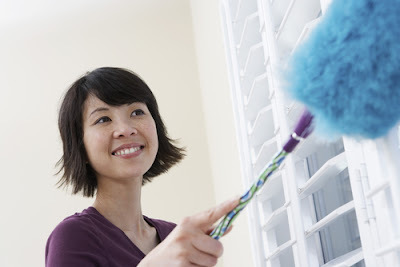 Traditionally, here in Singapore spring cleaning is undertaken in dry seasons. This season provides the motivation needed to remove dust and grime accumulated during the wet season. However, the warmer weather often calls outdoor activities with spring cleaning far down the list. There are several ways to help you get organized and as well alleviate the time taken for this chore. Read on! First, decide how much time you would love to devote to the task and when it is most convenient. For instance, some people may prefer to tackle the task over an entire weekend while others may prefer to devote a few hours to it each day over a period of time. Make sure you make your task as enjoyable as possible. Put on your favorite music and be sure to take sufficient breaks. Order or prepare your favorite take out foods as a treat at the end of the session. Get your friends or family involved and offer them incentives for helping you. Equip each person with a bag they can keep on them filled with cleaning materials and a list. Be hell-bent about getting rid of items you no longer need. You can sort, separate and even sell them if you can. You can as well give them out to family and friends or donate to charity. Most charities will accept almost anything for fund raising. However, make sure that you give out goods that are in good working condition. If you are disposing of hazardous materials, be sure that you do so in an environmentally friendly way. It’s either you deliver them to a waste station or arrange for them to collect. Arrange those items you are keeping in containers and look for an area where you can store them neatly. 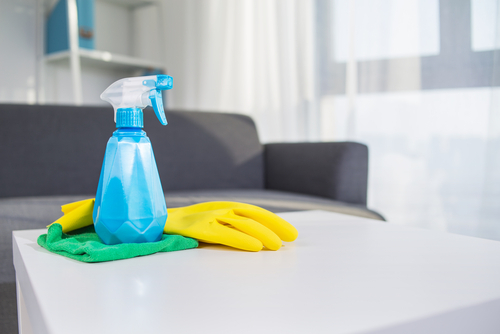 Once you have finished spring cleaning, try and rearrange your furniture for a fresh look. If you can afford it, spring cleaning provides a perfect opportunity to re-decorate or re-paint. 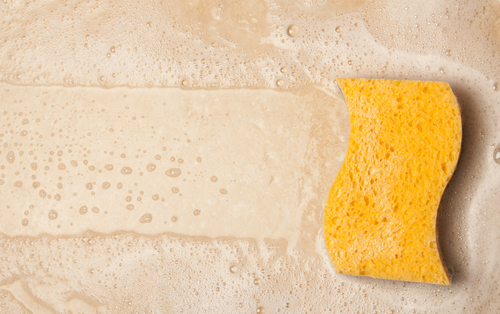 Spring cleaning is a great way to remove anything old and bring in the new. Pay attention to every area. De-clutter your cabinets, bookshelves, clothes and even your computer. 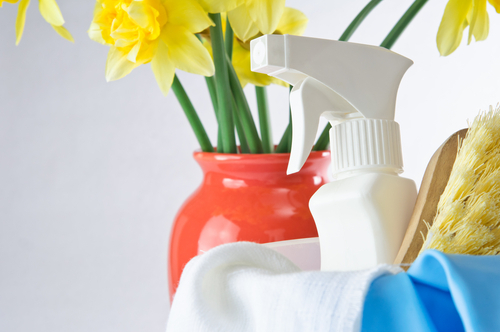 Think of spring cleaning as more than just cleaning the area you comfortably live. Approach spring cleaning with the idea that you will be cleaning up yourself, or your act, so to speak. 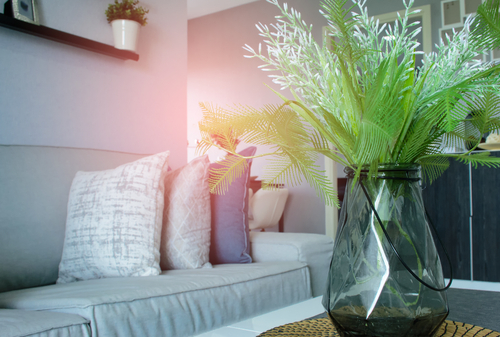 As it stands already, how we as individuals and our corresponding apartments, home and etc appear directly reflects who we are as people when it comes to our cleanliness. 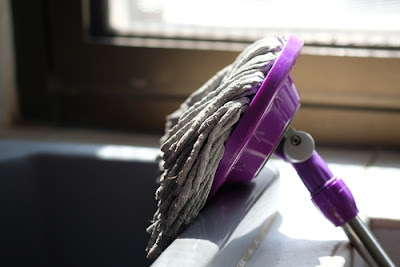 Think of spring cleaning as dusting off of more than just item and furniture in your home, but also dusting of the intricate, and most times stressed innards of your noggin. 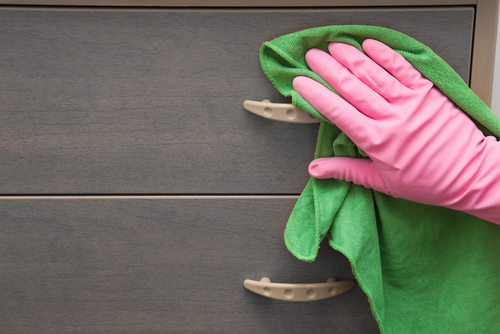 When you are partaking in the spring cleaning craze, make sure you change your mindset. Treat the event like a fun and loosely- spring fling type of scenario. It’s time to part the shades, let the light in and get loose. Just as said earlier, turn on some groovy and upbeat music to keep spirits high. Dance it off while you dust. Side step while you scrub. No one is saying cleaning was a hobby, or fun for that matter, but why just turned it into actually...somewhat enjoyable? This can only be possible with the right attitude, perfect atmosphere and knowing that you’re getting close to the amazing season, that makes the outlook of spring cleaning a less-stressful chore and more so an amusing necessary evil. Many people love having a cleaning service come into their house since they detest house cleaning work. Much of the time, they will call cleaners to simply do floors and bathtubs. 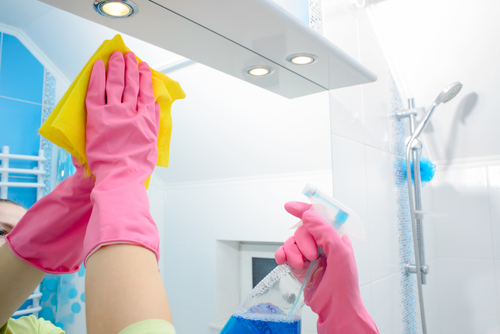 There are differences in a home cleaning service and business cleaning services. 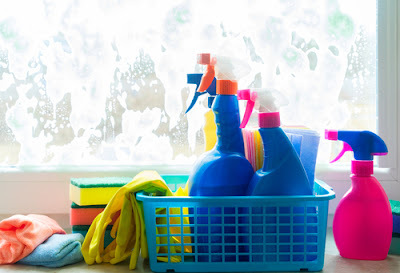 Since you may require different types of work done in your home, working with home cleaning services will require different choices than a service you may hire for your business. The following are a few things that will help you pick the best house cleaning organization. Settling on the decision will usually include getting sites from the different associations to determine which is best. For each service supplier anyplace, attempt to get a survey from past customers for the work that they have finished, or you can likewise browse through online audit locales. So it is not difficult to discover genuine surveys that reflect the work of different home cleaning services. To check whether a service is trustworthy, do some online research and discover audits about this cleaning service. Peruse what different people have experienced, and check whether you are happy with the ideas they are introducing. Audits are a route for people to share their constructive and contrary experiences and opinions about a service, so it is probably going to reflect the genuine nature of work. In surveys, people often say if they are happy with the outcomes, the client service, the experience, and all things considered if they recommend the service. So it is a good approach to discover signs of how trustworthy a service is from the immediate opinions of their previous clients. Today people have a tendency to be extremely occupied in their lives and often fall behind on customary household jobs. Accordingly, they may hire somebody to come in all the time and help them get up to speed. Things, for example, house cleaning and general fixing may be things that are requested a domestic service for instance. 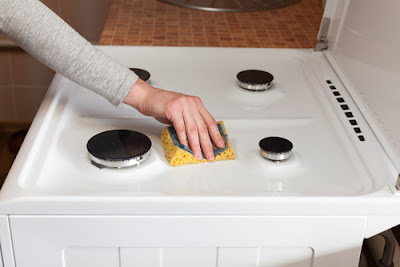 It is somewhat difficult to think about the cash you will spend to get proficient spring cleaning when it is not guaranteed that they will make a careful and fulfilling showing with regards to. It is likewise dependable a little frightening to take a stab at something new and different if you have no experience with it. There are these doubts that draw us back from trying to the benefit of home cleaning services. 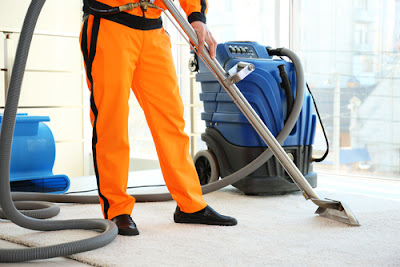 So for any stress and interest, investigate these tips on the most proficient method to hire a trustworthy home cleaning Service Company. Different organizations will give different costs for cleaning services however they must not be a long way from each other. If you see that one service is dreadfully costly, or very shoddy, it is hard to trust that they are either being straightforward with their pricing or if they will give you the best quality home cleaning that your cash merits. 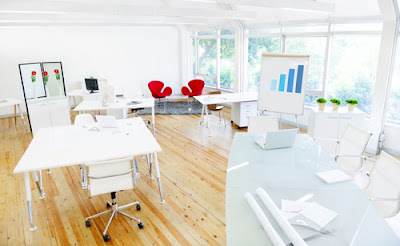 Do your exploration and investigate the different costs offered according to your cleaning prerequisite to have a thought what cost is most trustworthy in the business. Try not to succumb to anything too far less than impressive. Ensure that you have thought how much your home will truly cost by comparing different costs given by various spring cleaning services in your general vicinity. There are many alternatives for this kind of service today. Contingent upon the need that you have there will be different associations. Some will offer a scope of services that are probably going to be the time used for example; cover cleaning or profound cleaning for a major occasion that you are hosting in your home. The differences that are found will include things, for example, different types of cleaners and additionally more services. There may be a requirement for domestic jobs in an office, for example, the cleaning and vacuuming and waste expulsion. In any case, the difference will be that the association will usually send in a group to complete undertaking quicker. 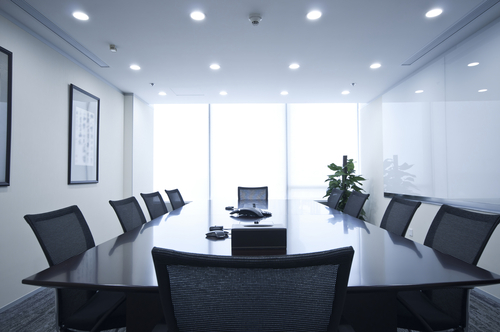 When we say experienced cleaning services, we are alluding to what extent a service has gone on for. 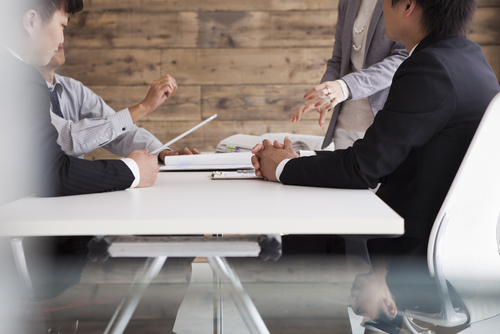 The more drawn out the organization has possessed the capacity to remain in business, the more probable that they are consistently being hired by clients. An organization that has just been open for a year can't be branded as trustworthy contrasted with one that has been in business for a long time. An organization that gets a few and consistent objections and negative surveys don't a years ago of functioning. Subsequently, a more extended running business implies that they have received good surveys and recommendations at a steady stream. 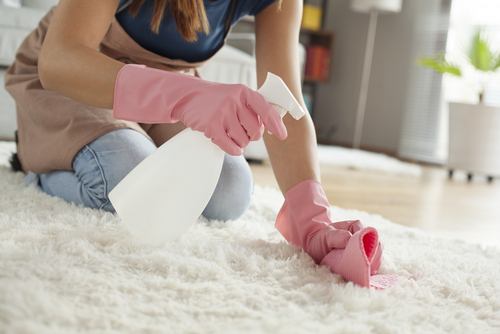 Determine if a home cleaning service is trustworthy by comparing different lengths of service the organizations have given. 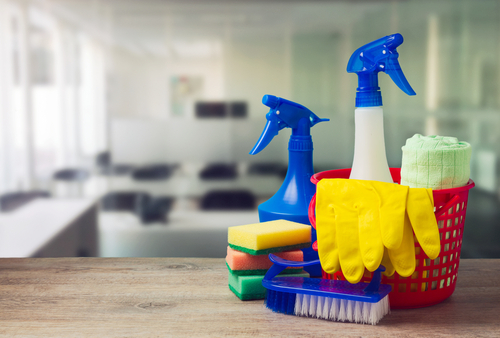 Follow these simple yet viable tips on the best way to know which home cleaning services are trustworthy enough to let into your home. It is not just about the cash you will spend or the belongings you are trying to ensure, however It is additionally about knowing who will give the best outcomes worth both your time and your cash. Spare yourself the stress and follow these main three tips before deciding who is best suitable for your home cleaning needs and needs. Give yourself the chance to experience the brilliant aftereffects of a full home cleaning service without the doubts and fears that keep you down in any case. 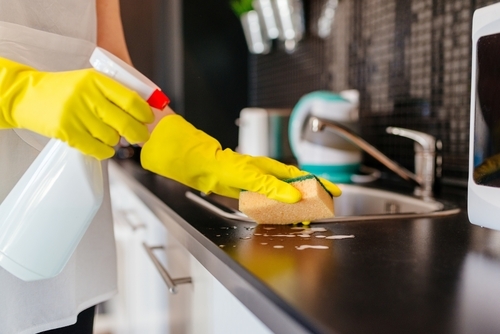 Follow these simple tips on the most proficient method to know which home cleaning services are trustworthy enough to let into your home. It is not just about the cash you will spend or the belongings you are trying to secure, however It is additionally about knowing who will give the best outcomes worth both your time and your cash. Spare yourself the stress and follow these main three tips before deciding who is best suitable for your home cleaning needs and needs. Give yourself the chance to experience the superb aftereffects of a full home cleaning service without the doubts and fears that keep you down in any case.